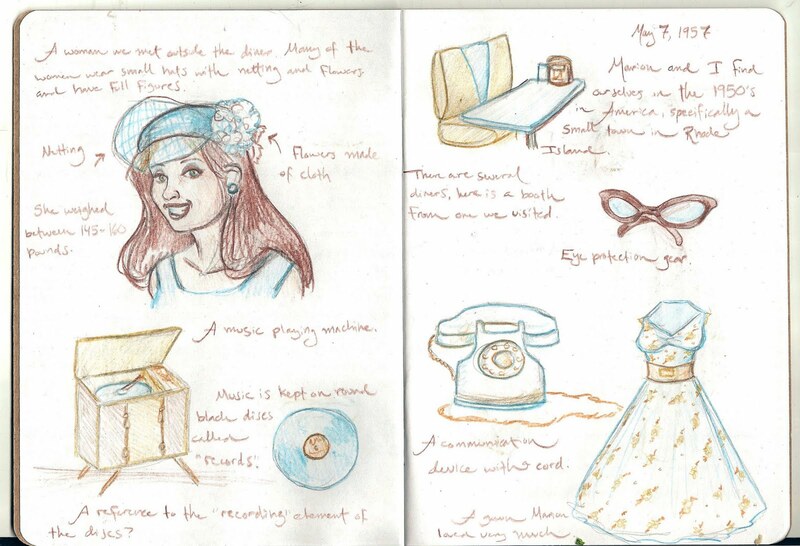 Is it terrible to admit I don't really like the first couple of pages I've forged in my Sketchbook Project? 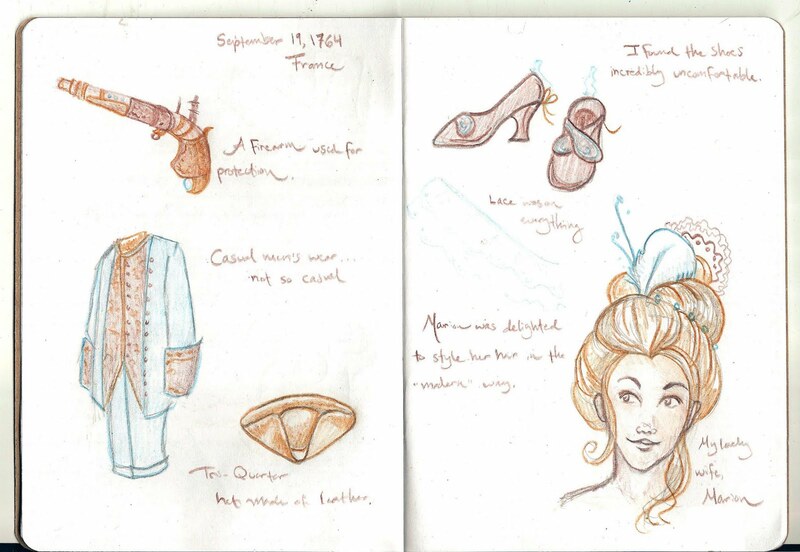 My idea to chose the Time Traveler theme and create the sketchbook based on the idea of a time traveler keeping field notes has translated to a lot of white space between sketches that I'm not happy about. Luckily my first few pages are also the time traveler's first few pages, and perhaps I can make my initial frustration his own. There's no reason he can't be looking at his field guide and thinking to himself, "Well, I can do better than this" and then begin to progress. I do admit I like the gun and the sketch of his wife. I spent my afternoon sketching some new scenes starring my penguin with the balloon and I'm pleased with how they came out! Tomorrow I plan to continue those sketches and finish an interview for Zombiesandtoys.com. I've been asked to participate in their Undead Bazaar with a giveaway of my Zombie Paper Dolls and they had a few questions for me along the lines of what and why I like to paint and what kind of zombie would I be, etc. I'm really looking forward to answering them! At some point this week I have to decide which two paintings I want to submit to the 100 Illustrations book. Their new project involves food, but I'm in the previously posted project which is open to any subject. I'm pretty certain that 'An Octopus Drinking Tea' will be one choice. Some have suggested my 'Penguin with the Red Balloon', but I have other plans for him right now and don't wish to tie up his copyright. Ryan thinks I should also submit the Clockwork Widow or the Time Weaver too. If you reading this and get a chance, I would love your opinion. Which two illustrations here would you choose to be published in a book for modern illustrators? I would be grateful to hear your feedback, I'm having a heck of a time deciding! For modern illustrators, I like the 'Rainy Day Hedgehog', and the 'Octopus Drinking Tea'. And 'Robots Escape from the Factory'.